Below you can view all the homes for sale in the Winding Creek At Bentwater subdivision located in Acworth Georgia. 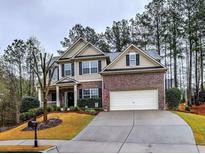 Listings in Winding Creek At Bentwater are updated daily from data we receive from the Atlanta multiple listing service. To learn more about any of these homes or to receive custom notifications when a new property is listed for sale in Winding Creek At Bentwater, give us a call at 404-998-4163. Unfinished Storage, Fenced Backyard With Prof. Landscaping And Fire Pit, Perfect For Entertaining. MLS#6531268. Harry Norman Realtors. Up To $10,000 Cc With Preferred Lender. MLS#6524239. Km Homes Realty. $10000 Cc Contribution With Preferred Lender. MLS#6513873. Km Homes Realty. $10000 Cc Contribution With Preferred Lender. MLS#6513977. Km Homes Realty. 3 Story Living/Option To Finish The Basement Prior To Closing! ! MLS#6507916. Km Homes Realty. Covered Deck With Stairs Down. Close July 2019. 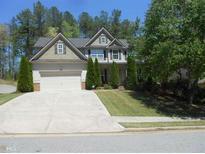 MLS#6507382. Km Homes Realty. Up To $10,000 Builder Incentive W/ Preferred Lender! MLS#6126061. Keller Williams Realty Signature Partners. Up To $10,000 Builder Incentive W/Preferred Lender! MLS#6126155. Keller Williams Realty Signature Partners. Up To $10,000 Builder Incentive W/ Preferred Lender! MLS#6126133. Keller Williams Realty Signature Partners. Up To $10,000 Builder Incentive W/ Preferred Lender! MLS#6126090. Keller Williams Realty Signature Partners. 5 Bedrooms Two Of Which Are Master Suites, Formal Living Room Or Office, Formal Dining Room, Custom Built Shelving In The Family Room Surrounding The Fireplace. Move In Ready MLS#6110533. Keller Williams Realty Partners. Enjoy All The Great Amenities That Bentwater Has To Offer Year Around. MLS#6059895. Keller Williams Realty Signature Partners. The Covered Deck And Rocking Chair Front Porch Both Are Great For That Morning Cup Of Coffee MLS#6059894. Keller Williams Realty Signature Partners.